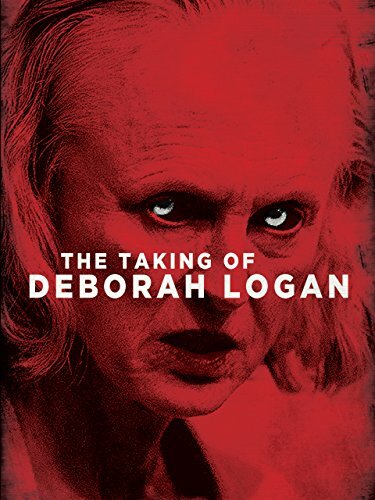 Directed by Adam Robitel, The Taking of Deborah Logan follows Deborah (Jill Larson), an elderly woman suffering from Alzheimer’s, who allows a film crew to document her. Deborah’s daughter, Sarah (Anne Ramsay), along with Mia (Michelle Ang), the head of the film crew, find out Deborah is suffering from something far more sinister. As you can probably tell, this is a found footage movie, and if you have been following me for a while you know that I am not particularly fond of this type of horror movie. When I first saw Deborah Logan, I didn’t think it was the worst found footage horror movie I had ever seen. I also remember saying I liked the film up until the end. I will definitely spoil the ending here, so reader beware. Once we get to the point where Deborah’s jaw drops to the level of her stomach, so she can swallow (?) the little girl’s head, that’s when the movie lost me. What makes a good found footage horror (for me, anyway) is realism, the scariest of these types of movies for me are the ones that keep the CGI and special effects to a minimum. For example, my favorite found footage movies are The Blair Witch Project (Daniel Myrick and Eduardo Sanchez, 1999) and Paranormal Activity (Oren Peli, 2007). Both films are not so unrealistic that you couldn’t ever believe them, and the special effects are either minimal of non-existent. I feel like the point of found footage is to make the events in the movie seem more real like they could actually happen. When we get too far into supernatural/sci-fi elements, filmmakers lose me. At least when it comes to found footage. Watching the movie this time around, I didn’t find it as good. I still didn’t like the ending, but the rest of the movie was just “blah” to me. I think this is one of those movies that is at its most enjoyable the first time you watch it. Up until a certain point, you’re unsure whether Deborah is just sick or if she is possessed, and that’s where the horror lies. Alzheimer’s is a scary and tragic condition, and I appreciate how the filmmakers compare it to being possessed. I don’t have any personal experience with Alzheimer’s, but the way Deborah describes it in the movie is she feels like she has very little control over her life, which relates the disease to being possessed. Once you know the ending, however, the film is not as enjoyable on the second viewing. This is not one of those movies where the ending is left up to the viewer’s interpretation, the filmmakers clearly spell out the meaning for you. This isn’t necessarily a bad thing, if you have an ending in mind, go for it. I will say I tend to prefer the open-ended movies a bit more, but endings that are tightly lidded shut are not always bad. I do think, however, that the ending in Deborah Logan, takes away the mystery of the first half of the movie since you know what Deborah is suffering from, there’s no horror in the unknown.